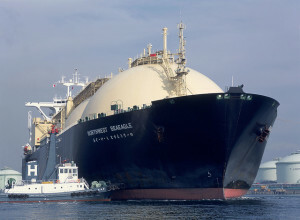 Will American LNG Help Europe Out ? Given the rapid growth of gas production in the United States and the number of LNG plants under construction there, the strengthening of American influence in the global gas market is just a matter of time. The fact is undeniable. However, the capabilities of the United States to achieve leadership in this market, which Washington likes to emphasize, especially in connection with the current confrontation with Russia, are not so obvious. The Russian energy giant Gazprom has recently expressed doubts about the potential export of LNG from the US to European markets, noting that Russia can offer more attractive prices than the United States. Is this true? More recently, the situation for the United States developed in a clearly advantageous direction. Indeed, high export costs prevented the export of American LNG to the European and Asian markets, but continued growth in oil prices raised hopes that, given the link between LNG prices and oil prices the competitiveness of the United States, and later its influence, would increase. But oil prices have found the reverse trend. What are the current capabilities and extent of US influence? In the context of low energy prices, the cost of shipping LNG from the US to Europe or Asia is very high. Countries such as Qatar, Algeria and Norway can export LNG to Europe at much lower prices, forcing the United States out of the market. In Asia, Malaysia, Brunei and Indonesia export LNG at prices with which the US cannot compete, at least in spot transactions and short-term export contracts for the supply of LNG. In any attempt to disrupt Russian exports to Europe, the United States is at a disadvantage. Transportation of natural gas through the pipeline in most cases is significantly cheaper than the construction and use of expensive port terminals for the export of LNG. In terms of production and sales of natural gas, Russian operating costs are low and its export infrastructure facilities have already been built. In some of the biggest markets in Russia, including in Central Europe, spot prices are already about USD 6.6. Even now, the prices of Russian natural gas have not reached their limit, and prices in LNG facilities also remain low. Meanwhile, prices in the UK are around 7.16 USD per million BTU, and about 6.92 USD per million BTU in Belgium. Only a few states, such as the Baltic States, are willing to pay a little more for natural gas from the United States to minimize their dependence on Russia. Lithuania and the Houston-based company Cheniere Energy Inc. signed an LNG supply agreement, but, first of all, the agreement is non-binding, and has the condition that the prices to some extent be comparable with European ones. Existing contracts with the US are based on the Henry Hub spot prices index, with a fixed price for the additional costs of liquefaction and transportation. Cheniere, in particular, has signed several contracts for a period of 20 years for supply to its Sabine Pass LNG located in Louisiana on the border with Texas. The terms of the contract, in general, stipulate about 115% of the price of US natural gas (currently 2.81 USD per million BTU) in the additional 3 USD per million BTU to defray the cost of liquefaction. After deducting the cost of shipping, insurance and re-gasification, the total value of natural gas at LNG terminals in Europe is USD 7-8. In contrast, natural gas prices in the US are relatively low and are likely to increase, regardless of oil prices (the prices of oil and natural gas in the United States are not connected). In short, the US is only marginally competitive at current prices for LNG and cannot compete with the low operating costs in Russia. In Asia, the United States faces the same obstacles as in Europe. Prices for LNG in South Korea, China and Japan are the same as in Europe, only the shipping costs are higher due to large distances. So, the United States clearly does not threaten the market share of Russia in Europe, and neither Asia in the long term. It can be assumed that the export potential of LNG in the United States will strengthen the leverage of Europe over Russia, giving it a certain alternative source of energy. Perhaps it will help find a new price ceiling for LNG in negotiations with Russia and other suppliers of natural gas. Over time, growth in LNG production in the United States may make other suppliers lower prices for LNG exports to Europe. But this is unlikely to affect the price of pipeline gas. We note, moreover, that all this will happen in a rather uncertain future. The exact extent of future LNG exports from the United States is unknown and largely depends on LNG prices. Most likely, the volume of exports will be about 50 billion cubic meters, which will be a significant addition to the global supply of LNG. In particular, Sabine Pass LNG will enter into operation in late 2015. But other plants are still under construction. They definitely will not be in operation until 2017 or the beginning of 2018, so Russia and other competitors for a few years can be guaranteed access to the markets and the chance to disrupt potential LNG contracts by offering lower prices. We should not forget certain US exporters will sell their product, guided by completely understandable commercial considerations, and will not “help” at their own expense its European partners in their confrontation with Gazprom. If oil prices rise, the price of LNG in Asia will undergo major changes, as it will depend, as now, on long-term oil contracts. As the Asian market is about five times the size of the European, most of the contracts have already been signed by exporters of LNG from the United States with the countries of the Asian region. South Korea, China and Japan are also the three largest importers, offering greater capacity and better opportunities. If necessary, the United States is also able to exploit the markets of some countries of the Western Hemisphere, such as Brazil, Argentina and Mexico, which are father from other suppliers of LNG. Overall, however, the LNG market in Brazil, Mexico and Argentina is small and all three countries produce their own oil and gas. Taking into account all these factors, five American LNG plants, which are already under construction, will eventually be put into operation. But on many projects in the United States, the final investment decision is likely to be delayed, and may never be accepted. Expansion of the plants under construction is the more likely option. Ultimately, the US cannot directly compete with Russia in Europe and Asia. In the best case, an increase in its export sales to the global LNG market will help Europe to slightly change the terms of their contracts with Russia and get more opportunities for LNG sales in Asia.